A Nigerian patent is the exclusive legal right granted over an invention in Nigeria. The owner of a patent has protection and the right to stop others from commercially exploiting the protected invention, such as using, importing or selling the patent in Nigeria. Patent protection has helped businesses drive higher sales and increased profit margins. Lex Artifex LLP, a law firm in Nigeria, offers a broad range of patent application and prosecution services in Nigeria. The Lex Artifex people, are accredited patent lawyers in Nigeria, and they provide clients with timely, cost-effective and excellent IP services. 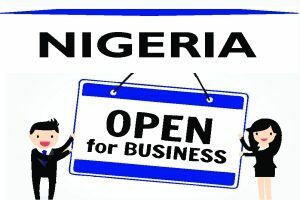 The firm is licensed by the Nigerian Intellectual Property Office (i.e. the Patents, Trademarks, and Industrial Designs Registry of the Commercial Law Department of the Federal Ministry of Industry, Trade and Investment of Nigeria. Lex Artifex LLP specializes in the commercialization of intellectual property and the enforcement of intellectual property rights in Nigeria. Its patent lawyers in Nigeria prepares and prosecutes applications for patents at the Nigerian Patent Office and provide legal opinions on intellectual property rights, infringement and validity issues. The firm’s patent lawyers in Nigeria represent international clients on patent filing in Nigeria, IP portfolio management, and drafting of licensing arrangements. Below are a few basic requirements for filing a patent application in Nigeria (Convention and PCT National Phase). Power of Attorney: A duly executed power of attorney (scanned copy). The power of attorney should be executed by the authorized representative of the applicant company or signed by applicant individual. 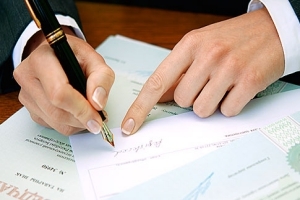 No Notarization is required. 6. Details of all substantive invention (if any), including application number, date of filing and current status of the Patent Application. If the PCT application is in a language other than English, a verified English translation of the PCT specification is required. To avoid a premium translation fee, it is advised to forward the application documents at the earliest possible time, preferably 2 weeks prior to the filing date. Lex Artifex LLP is your progressive partner! For a business-focused IP advice and legal representation in Nigeria, please call +234.803.979.5959, or email lexartifexllp@lexartifexllp.com.